5 August 2016, Copenhagen, Denmark ~ The HH Sheikh Mansoor Bin Zayed Al Nahyan Global Arabian Horse Flat Racing Festival makes its next stop at the Klampenborg Racecourse, Copenhagen, Denmark, on Saturday, 6 August with the HH Sheikha Fatima Bint Mubarak World Apprentice Championship race. Ten Apprentice jockeys will line up at this historic racecourse located in the leafy suburb of Klampenborg, just north of Copenhagen city and one of Denmark’s premier racing venues. 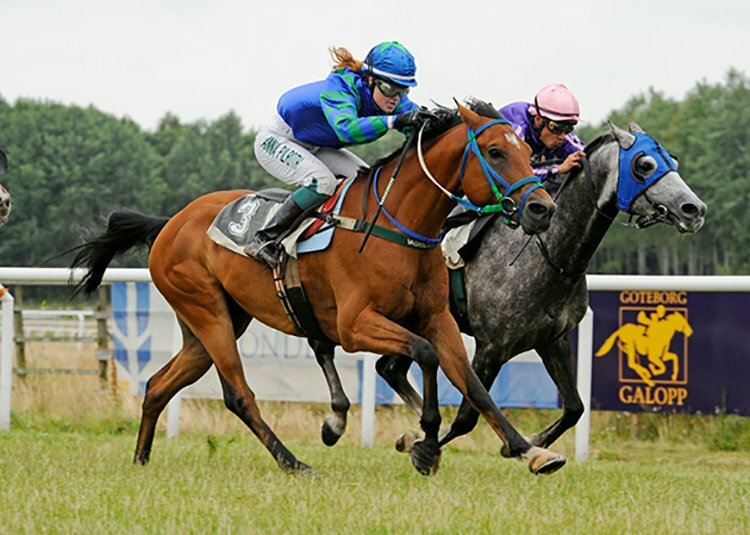 With a total prize fund of Danish Kroner 148,000 (Euros 20,000) the race will be run over 1400 metres (7 furlongs). Francis Waweru will carry the hopes of the host country and the 28-year-old will be on Rugosza. With just ten wins from 239 starts, the home crowd will be cheering on the Danish rider to his 11th career win in this prestigious series that culminates with a grand finale in Abu Dhabi in November. The spotlight will be on two apprentice jockeys who have won races in this HH Sheikha Fatima Bint Mubarak World Apprentice Championship last year. Belgian Zoe Vande Velde won in Poland and took part in the final while Isis Magnin of France won in Tarbes and later went on to finish third in the World Championship. Vande Velde will fancy her chances in the 6 August race on Niraan while Magnin gets to ride Al Murjaan. Two other strong contenders in Saturday’s 7-furlong contest are Swedish jockey Fanny Olsson and Britain’s Rhiain Ingram. Ingram will be on favourite Athlete Del Sol, a consistent performer in the Festival’s races. Olsson rides Mad Makz, a Swedish raider and the two have been together before and that will be an advantage. Daraahem will be partnered by Ireland’s Rob J Fitzpatrick while Sartejano, a former star of the HH Sheikh Mansoor Festival will be ridden by Italian Daniel Scipioni. Others in the fray are Germany’s Ester Ruth Weissmeier on Fareedha, Poland’s Karoline Dynarowska on Pamills Lipse and Portugal’s Manuel Fernandes on Mahany De Piboul. Ms Lara Sawaya, Executive Director of the HH Sheikh Mansoor Bin Zayed Al Nahyan Global Arabian Horse Flat Racing Festival, Chairperson of the International Federation of Horse Racing Academies (IFHRA), Chairperson of Ladies & Apprentice Racing Committees in the International Federation of Arabian Horse Racing Authorities (IFAHR) said it was another step forward in bringing this featured race of the Festival to Denmark. “We have staged Wathba Stud Farm Cup races in Denmark but this HH Sheikha Fatima Bint Mubarak World Apprentice Championship race is a step up in class and competition. We hope the Apprentice jockeys grab then opportunity to showcase their skills and the winner will be riding in the final in Abu Dhabi on November 6 for the World Champions title,” she said.